News from Our Scientists is a rotating exhibit featuring the work of the Museum's scientists. 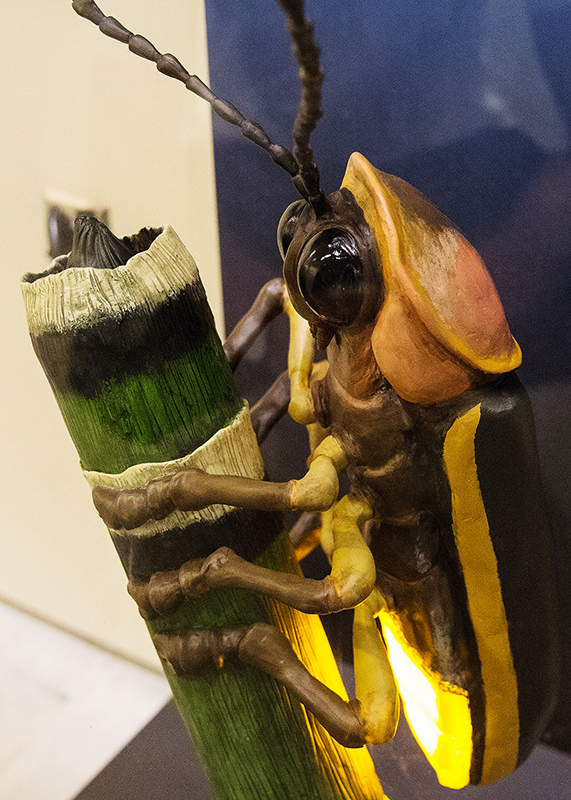 Currently on display is Utah's Fireflies, featuring the work of NHMU entomologist Christy Bills. Many people are surprised to discover fireflies inhabit Utah, yet, specimens in NHMU’s collection show they have lived here a long time. Few scientists, however, have studied our local fireflies. Now, researchers at NHMU and Brigham Young University are joining forces with citizen scientists to find out where Utah fireflies live, how human and environmental factors impact them, and how they are related to other fireflies around the country. Learn more about their efforts and the bioluminescent beetles they study at the News From Our Scientists exhibit at NHMU. You can also click here to learn more about how you can help the Firefly Citizen Science Project. Click here to see research previously displayed in the News From Our Scientists exhibit.